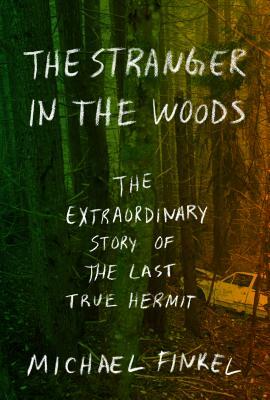 For readers of Jon Krakauer and The Lost City of Z, a remarkable tale of survival and solitude--the true story of a man who lived alone in a tent in the Maine woods, never talking to another person and surviving by stealing supplies from nearby cabins for twenty-seven years. In 1986, twenty-year-old Christopher Knight left his home in Massachusetts, drove to Maine, and disappeared into the woods. He would not have a conversation with another human being until nearly three decades later when he was arrested for stealing food. Living in a tent even in winter, he had survived by his wits and courage, developing ingenious ways to store food and water, to avoid freezing to death. He broke into nearby cottages for food, clothes, reading material, and other provisions, taking only what he needed, but terrifying a community never able to solve the mysterious burglaries. Based on extensive interviews with Knight himself, this is a vividly detailed account of the why and how of his secluded life--as well as the challenges he has faced returning to the world. A riveting story of survival that asks fundamental questions about solitude, community, and what makes a good life, and a deeply moving portrait of a man who was determined to live his own way, and succeeded.